A perfect start to the day…..
Sunshine, blue sky’s and the genius of the French bread van bringing fresh bread to your door, heaven. A refill with fuel which leave my MPG calculations a little higher than we had planed on so all good there ! 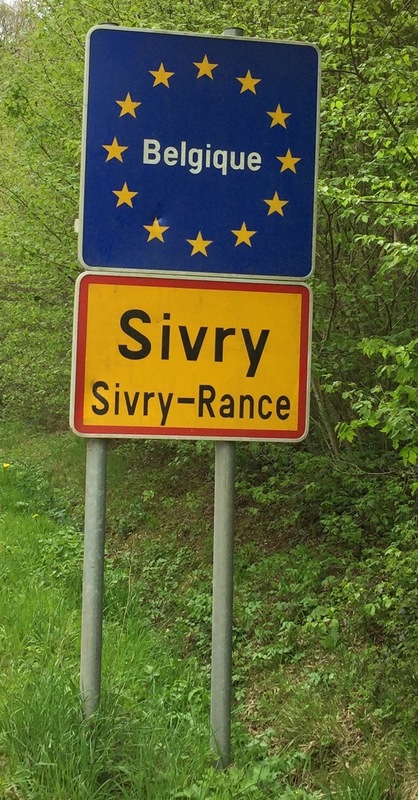 And then over the border into Belgium, almost no marking these days, it was that bad that we had to pull over so Michele could run back along the road to get the picture of the sign….. Massive fail as she didn’t go for the sign selfie. ← Plan B or is it plan c ?